In planning for retirement, many people seek out a new home in a new town, whether to downsize, move to a sunnier climate, or simply for a change of pace. While some baby boomers are looking for more excitement and a thriving night life, many people – both singles and couples – hunt for new homes in quieter, more cozy places than the suburban or urban environments in which they spent their working years. Small cities – those with populations of 25,000 or fewer – offer some distinct benefits for senior citizens seeking a respite from the hustle and bustle of life, but don’t want to live out in the middle of nowhere. In the hunt for the perfect small-town retirement destination, you may want to consider a number of factors: criteria that can help you determine whether or not a small city in question is a good spot to retire. 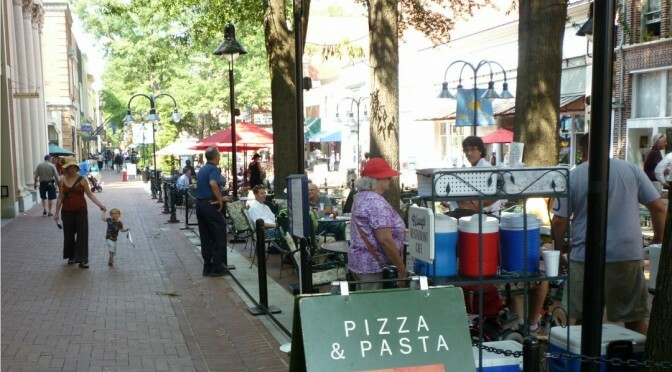 So, what makes certain small towns more desirable for retirement than others? There are a wide range of answers to that question, but the same few seem to pop up again and again: Low crime rate; mild weather; ease of travel within city limits (walkability) and to other destinations (nearness to international airport); number of retiree amenities per capita; natural beauty and charm of the surroundings; and ability to make quality social connections. While some of these factors (low crime rate and mild climate) are easy to quantify, others are a bit more subjective. Ease of travel: To some, this may mean the ability to walk easily to the majority of restaurants, venues and shops in the community, while to others it may mean excellent public transportation options in a small city. Retiree Amenities: Some are looking for a bonafide 55+ community with all the included amenities and facilities, while others look to the town in general to see what healthcare facilities, senior centers, adult education opportunities, libraries, and arts and entertainment venues are available. Is there a senior center nearby? Social Connections: Many small towns or small cities share a common “theme,” or may have large concentrations of certain types of people. Perhaps citizens share a common ethnic heritage, like Leavenworth, WA’s Scandinavians, or shared interest like the Sedona, AZ population of artists. Towns that host annual festivals and other events also offer many opportunities to meet new people. Are there many baby boomers or seniors your age? Regional Medical – Is there regional medical resources nearby and 24 hour medical services close by? How about assisted living homes? Tip! Small towns with one of the large Active Adult Communities like those of Del Webb, K. Hovnanian Homes, Brookfield Homes, Lennar, Beazer Homes, WCI Communities or Erickson Retirement communities – they usually have done the research for you and are in or near desirable small towns for retirement. Retiring to a small town can be an appealing option on many fronts. After battling traffic and hassles of urban or suburban living for decades, the attractions of small town life can be a serene alternative, and offer opportunities to learn, grow, socialize, and live happy and healthy lives as seniors. The benefits of being medically insured far outweigh not being insured. Everyone knows how unpredictable life can be and just about anything can happen just about any time. Some people convince themselves that they probably don’t need medical insurance today, but you never know with your health what will happen tomorrow. All of us are susceptible to diseases, illnesses and accidents every day of our life. People who are totally healthy one day can be struck with a disease tomorrow or seriously injured in a car accident. These things happen all the time, every single day! After something like this does occur, the medical bills start coming in and if you’re stuck without medical insurance to help, you are facing a huge financial burden and strain. Being Prepared: We need to be prepared for any type of disaster that could occur and not many people are. There are so many important reasons why you need to take out medical insurance. Quality of Care: Believe it or not, people who are medically uninsured will get less care as someone who is insured. For example, a woman who is pregnant with no insurance will receive far less prenatal services because of the high costs involved. As well, children and adults both may not be able to see a health care provider on a routine basis to get treatment and advice for their sicknesses because the out of pocket cost for the visit cost them too much money. This is your life and your health that are risk. Health Outcomes: People who remain medically uninsured have much worse outcomes with health conditions. Reports have shown that people with medical insurance have a better outcome with their health problems. Researches have shown that death rates are 25 percent higher with people who have chronic diseases and don’t have medical insurance. Financial Burden: Not having medical insurance causes financial burdens on families. Many discounts are applied to medical insurance policies and those without insurance won’t get any discount on top of paying double and triple costs for being uninsured. An unexpected tragic illness or injury has often times caused a family without medical insurance to have to go bankrupt. Risks: Without medical insurance, someone may not be able to afford an expensive surgery or treatment that they need. Prescriptions may cost too much for some people to afford without medical insurance so they take the risk of not buying them. Medical insurance is so much better to protect your family from all these unexpected and sudden costs that medical care brings. For people who are not insured, having to pay out of pocket for something expensive can cause so much stress and eventually lead to depression. The benefits of being medically insured far outweigh not being insured. Paying small amounts of premiums on a monthly or regular schedule will keep you from having the burden of paying massive amounts of money in medical costs when an illness, disease or an accident happens all of a sudden. When it comes to being on the safer side, it’s always better to have that peace of mind that medical insurance can offer. For seniors, it is a good idea to have supplements insurance to supplement your medicare insurance. Author’s Bio: The articles of Mark Anderson have really met the needs of the users. He suggests them to visit Medicalinsurance.org for more information. Considering investing in real estate after retirement. Retirement is a stage when you can no longer work hard, so it is the best time to invest in real estate, provided you do not owe any debt. The value of housing has taken a hit but prices will return as the economy improves, so it is a great idea to invest in real estate. However, since after the recent economic meltdown people are unable to afford to pay the huge amount of money for investment, they are obtaining mortgage. But when they default on their mortgage, they go for mortgage refinance. Nevertheless, before investing in real estate, consider some factors so that your investment proves to be a right decision. Location: This is one of the most important factors to be taken into account while investing in real estate. 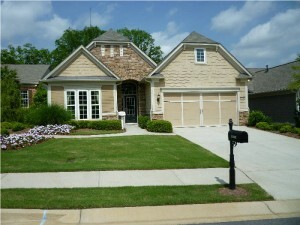 Having a house in good location and at good neighborhood is extremely important after retirement. Make sure the house you buy is close to hospitals, post office, shopping malls, and police station. Many over retirement homes in over 55 communities are selected because they have great desirable locations. Also, buy a house that is close to your friends and relatives. Design: This is another important factor to be considered. Before buying a house, check out the design of the house, if possible. Make sure, the house has all the essential facilities, such as laundry. Also ensure that the rooms in the house are proportionate. Services: After retirement, people seek for comforts and services. So if you are planning to invest in real estate after retirement, make a list of all your preferred services and specific requirements. While looking for a house, make sure, your preferred services and requirements are available near your house. For example, home maintenance, nursing aids, and other significant services. People mostly stay away from investing in real estate after retirement since it requires huge amount of money to invest. But there are several advantages that you must know. So let us have a look at each of them. Ownership feeling: Owing a house is really a special feeling and that is the reason why people try to buy a house in their life. Having an own house gives you a feel of ownership that matters a lot in old age. Can implement your personal choice: All individuals have certain dreams and desires which they want to implement after retirement. At this stage people look forward to own a house and decorate it as per their choice. 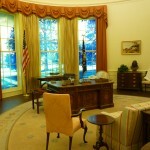 Not only this, they also want to renovate the house or make some modifications according to their comforts. And this is only possible when you have your own house. Avoid paying rent: Buying a house is a better option than paying rent to the landlord. Senior apartment communities are expensive. This will save you money, which you can spend for your other interests. You may invest in the education of your grand children or in a luxurious life in your dream city. Earn some extra cash: If your new house is spacious enough, you can think about utilizing the space in various ways to earn money. You may set an office to start a business of your own or rent a room or two and earn a considerable amount each month. In the meanwhile, many senior citizens are falling into debt because of the recent financial upheaval and economic devastation. So they are looking for some resources or grants that can help them with financial assistance. 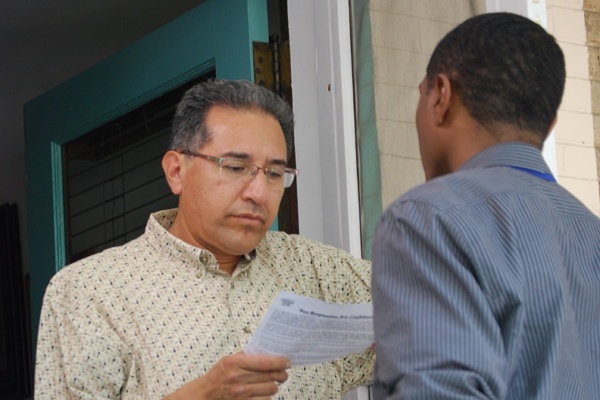 State community action partnership agencies conduct training classes for people who are going to invest in real estate for the first time. Depending on the program, these agencies even aid first-time home buyers with down payment assistance programs. Thus, it is to be concluded by saying that investing in real estate after retirement is a good option since the value of housing is incessantly increasing. So investing in real estate can secure the path of your financial future. However, before investing, keep the mentioned factors and advantages in mind. This is a guest post by K. Craig who is a financial writer associated with various finance related Communities. He has been providing advice on debt relief since 2007 and also written some great articles on bankruptcy, mortgage refinance, credit counseling, credit repair, debt management, personal injury and so on. The states gained the largest population in the 2010 census are the same states that have been the best retirement states. Some of the results of the 2010 Census was released today and one thing I noticed is the the best retirement states are the ones to gain in population. So job transfers is not the driver these days, it’s gain from those retirees moving to a new retirement destination. Overall the US population grew 9.7% in the last ten years. That is down from a 13.2% gain in the previous 2000 census, but still a respectable gain. By region the biggest gainers in population are the South at 14.3% and the Southwest at 13.8%. By comparison the gain in the Northeast was only 3. 2%. By state Arizona had 24.6%, Nevada 35.1%, Georgia 17.3%, Florida 17.6%, South Carolina 15.3% gain in population the last 10 years. These also happen to be the states that are popular retirement destinations. Some have speculated that people are not moving for retirement anymore, however these numbers do not bear that out. Back home this afternoon thinking this was really something and wondering why I haven’t visited these two huge attractions after living here most of my life. But this week confirms to me that a large benefit of being retired is the ability and interest to get out and see and do things in my own backyard that maybe I didn’t do earlier. Many times we boomers travel and discover the attractions of other cities in the US and around the world, most often during our short vacations in our working years. We just want to get away for a few days and do something different. We visit remarkable museums and landmarks and wonder what it would be like to live in other places. In retirement I have noticed that I can experience some of these discoveries right here in my own city, during most any mid week day for very little money but get the same thrill and pleasure of visiting some new places. Most people do not take in the sights in their own city when they are working as they do not have the time or can’t get away for many reasons. But every city has attractions enjoyed by out of town visitors but not fully enjoyed by the city’s own residents. 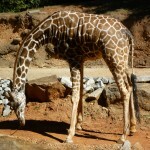 For example last weekend I visited the Atlanta Zoo with my wife, our nephew and his wife and two kids. Beautiful fall day with blue skies and made a day of it, ending up with dinner in the trendy Virginia Highlands neighborhood. Got the senior discount at the zoo. Took plenty of pictures. 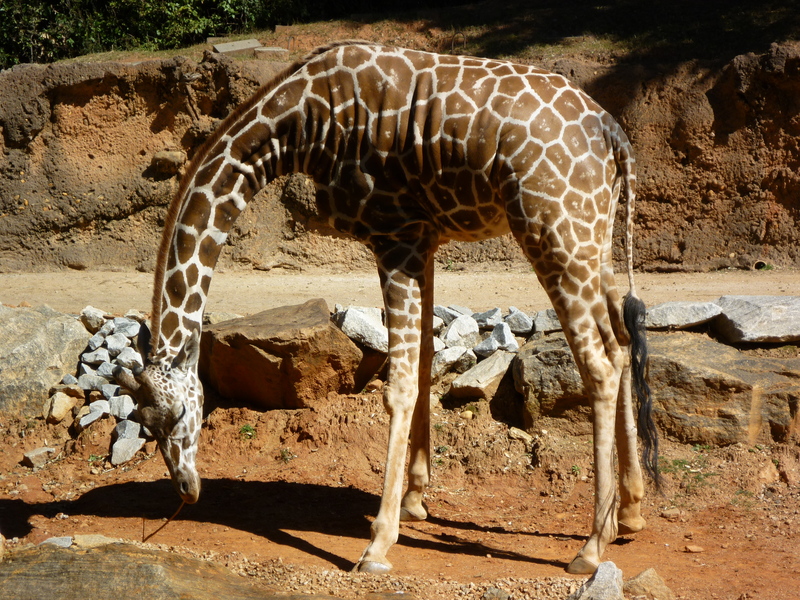 It has been 23 years since I last visited the Atlanta Zoo, so this was like a new trip for me. 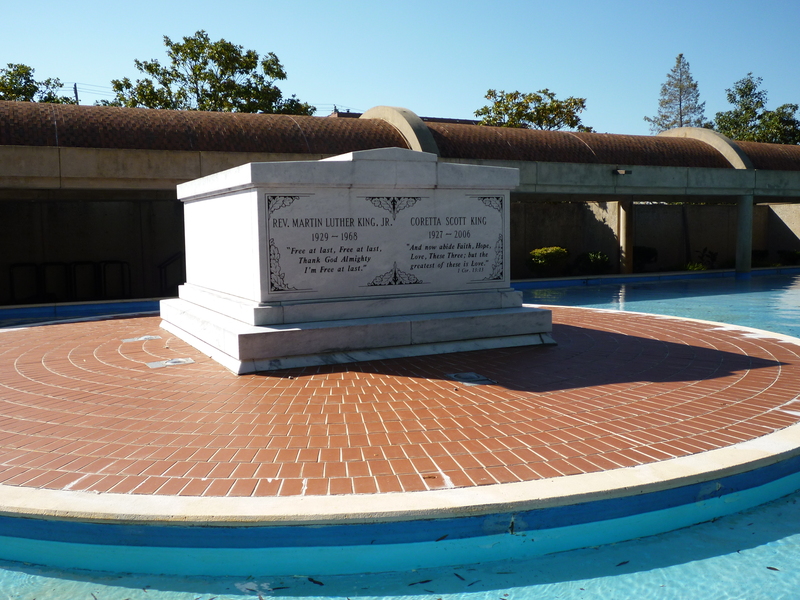 Woke up today a few days later, with another beautiful Fall day with powder blue skies and decided to go two places that I have never visited before and always wanted to: Martin Luther King Jr. 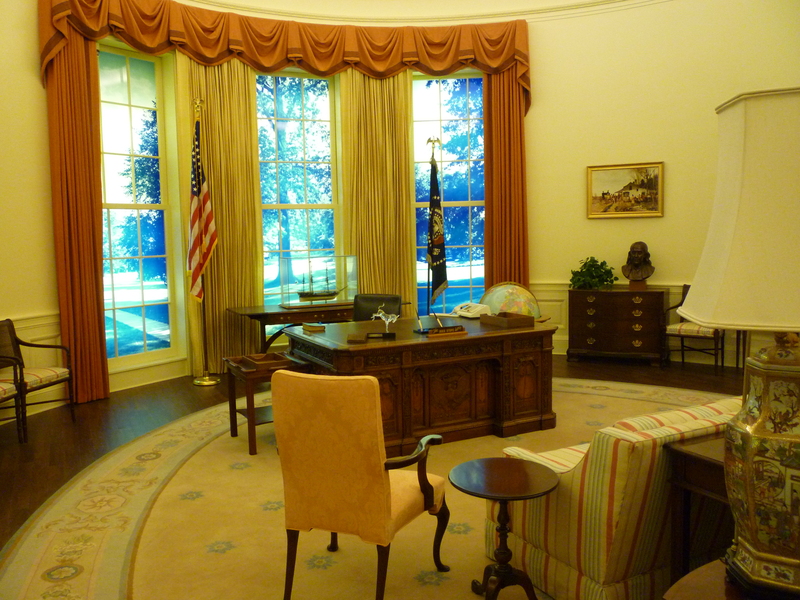 Historic Site and the Jimmy Carter Presidential Library & Museum. 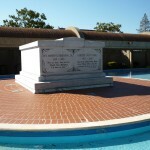 I researched on the Internet and then headed down GA 400 to visit the Martin Luther King , Jr, National Historic Site. It is a short block off I-75 in downtown Atlanta. Plenty of free parking and walked over to the King Center and toured the museum (free admission) before walking over to Dr. King’s Tomb and Eternal Fame. A film crew was filming. A couple of doors down is the Historic Ebenezer Baptist Church Heritage Sanctuary which is being renovated for a 2011 opening. Next back in the car for a short 1.5 mile trip down Freedom Parkway to the Jimmy Carter Presidential Library & Museum. Wow, this is a large complex with the Carter Center (not open to visitors) and then the library and museum. After paying the $8 senior admission fee I toured a very interesting museum. Man the stuff the other nations give our Presidents as gifts is amazing! Had lunch right there with fried chicken and two sides for $5.50. Enjoyed the nice grounds and the lovely Koi pond. Retirement Status: Is it Not Politically Correct to Say You are Retired? Say what? That I am retired. Did I put a little too much happiness into revealing my retirement status? It may not be that they are sad you are retired, but they immediately think of their current situation and prospects for their own retirement, which may have been dimmed in this prolonged Great Recession. Saying you are retired is like saying I just bought a new BMW! People will smile and act like they are happy for you, but secretly they feel bad because they want one too. Has retirement become a status symbol? So what are you supposed to say or is it the way you say it that is just as important? If you plainly report your status as retired without any smile or indication that you may in fact be actually enjoying retirement, would that be better? Probably. It is hard enough for you to start saying you are retired in the first place. You start off with saying you are trying to retire, or transitioning to retirement, then semi retired, then finally simply retired. Now you discover you better be sensitive to others in reporting your “retired” status or at least do not show too much happiness in doing so. Makes sense to me. Has anyone experienced this?